Use the Sunshade for 3-15x56 M5Xi Riflescope to gain tactical advantage by blocking glare, improving target visibility, and making yourself less detectable to your adversary. This 56mm sunshade covers the M5Xi Riflescope's objective and dramatically reduces glare from the sun and glint off the front lens. 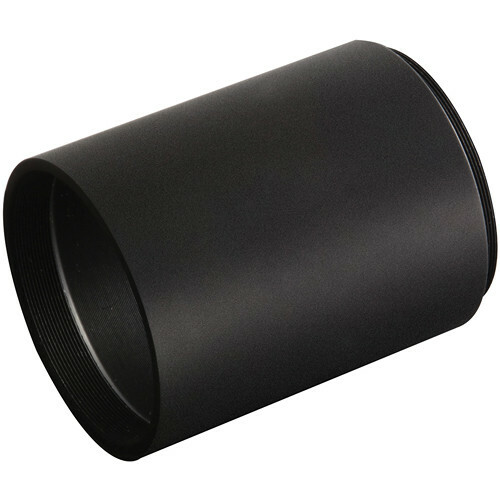 The device also provides mechanical protection for your objective lens against scratching, dirt, and debris. Box Dimensions (LxWxH) 3.3 x 3.0 x 2.5"
HI, will this suit my Steiner GS3 3 x 15 x 56 ? It should fit any Steiner with a 56mm objective lense.